The California State Wildlife Action Plan 2015 Update provides a vision and a framework for conserving California’s diverse natural heritage. SWAP 2015 also calls for the development of a collaborative framework to sustainably manage ecosystems across the state in balance with human uses of natural resources. 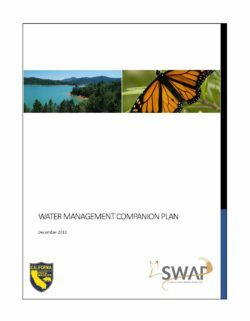 To address the need for a collaborative framework, California Department of Fish and Wildlife (CDFW), Blue Earth Consultants, LLC (Blue Earth), and partner agencies and organizations undertook the preparation of companion plans for SWAP 2015. While this document reports on the progress made thus far on collaboration, the intent is to set a stage for achieving the state’s conservation priorities through continued partnerships and by mutually managing and conserving natural and cultural resources.